Are you an USA resident? Do you own a Social Security number? Are you planning on applying for Social Security card? If yes, then you have landed at the right place. We have simplified your Social Security Administration form finding. 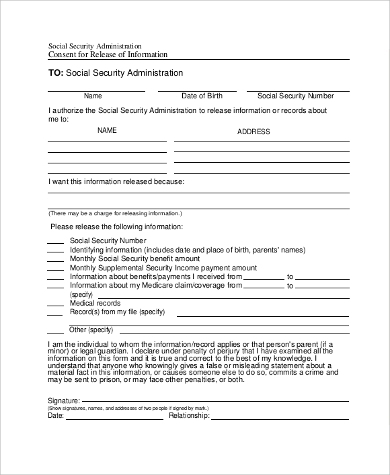 Our team has added various Social Security Administration Form Samples to help you. Check below list to download your required Social Security Administration from. 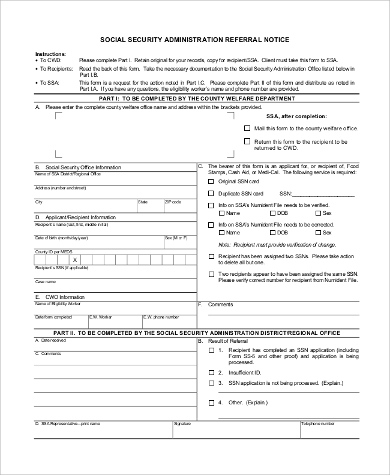 US residents having no SSN number can download this PDF to apply for it. 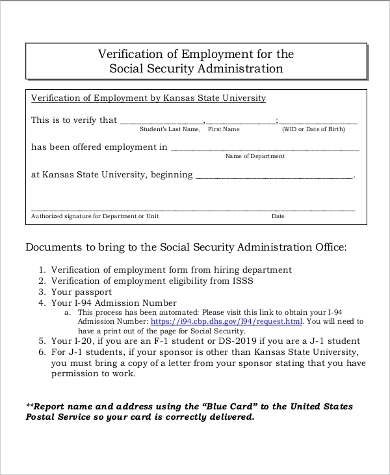 It contains a legal Social Security Administration Authorization form, fill up the input values and mail it to the Social Security Administration. 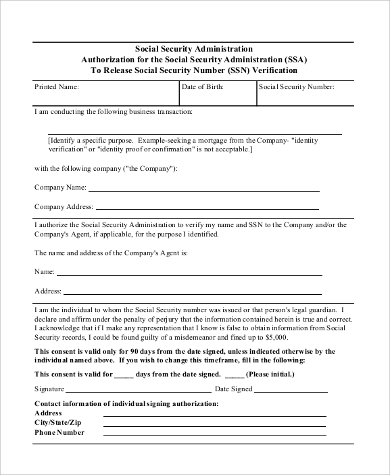 Social security administration Release Form is required during employee/person verification. 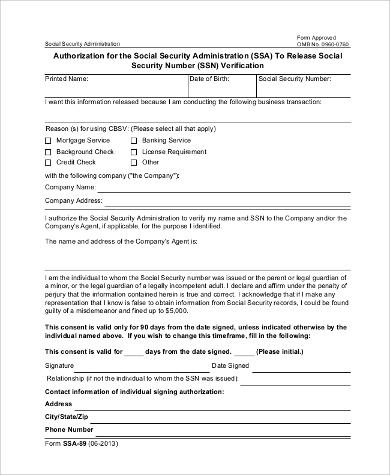 This PDF contains a social security administration release form, fill it and authorize the Social Security Administration to reveal your personal information to the authorized person/community. If you have received a job in another state, then you will need to verify your SSN number in the SSA office. 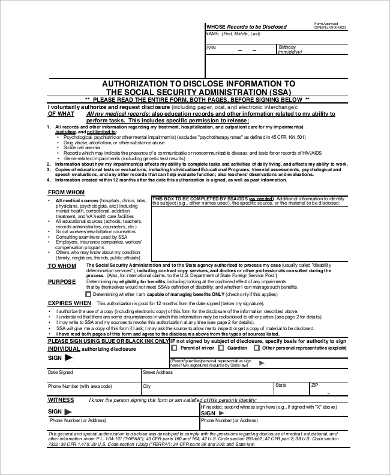 Download this PDF, ask the employer to fill the form and authorize it. Also, a checklist of documents needed for verification is presented within the form below. If you need a social security card, then you will need to apply for it. 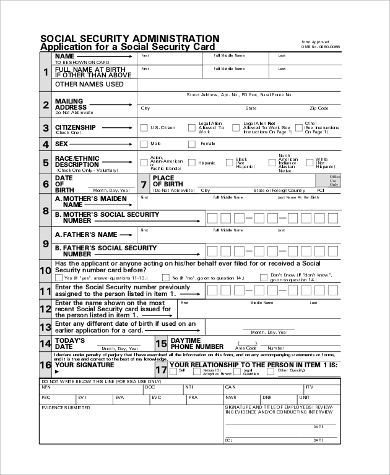 Download this PDF to get access to Social Security Administration Application Form. Also, you will find a complete text guide regarding document requirements, and a step-by-step process to apply for SSC. 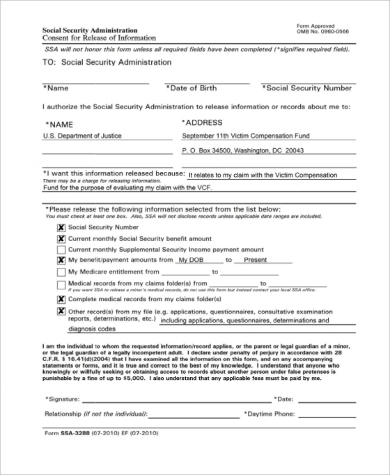 Use our Social Security Administration form PDF collection to simplify social security number request and verification process. Also, check our Social Security Change of Address Samples to update your current residential location. Change of address is necessary for retired and physically disabled persons receiving pensions and compensations from the government.